What are legal rulings in place to support the brother as a helpless bystander? Don handled the case of a mother who had driven to the store with her two young sons after a day of swimming and enjoying the summer afternoon. They got out of the car and were walking toward the store when the mother realized she had left her reusable shopping bags in the car. She quickly walked the few steps to retrieve the bags while her younger son waited in the elevated, yellow-curbed, bark mulched pedestrian refuge area of the parking lot. His older brother, age 11, was next to his mother. 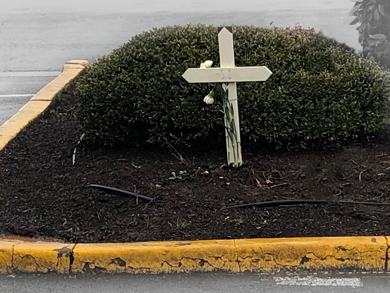 As they were returning from the car, the driver of a pickup truck, with the sun in his eyes, accidentally went over the curb, killing the 7-year-old child as his mother and older brother watched. From the driver’s seat of a pickup truck, the curb and the near portion of the pedestrian refuge was not visible. The older boy saw the events that caused the death of his younger brother as they occurred. The little boy died before their eyes. 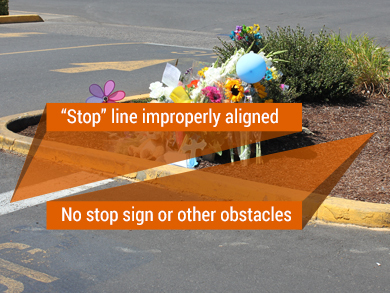 The white “stop” line was not properly aligned, leading drivers to accidentally cut the corner and go into the pedestrian refuge area. There was no stop sign or other obstacles in the pedestrian refuge area that would have prevented vehicles from accidentally cutting the corner. The configuration of other landscape features in the parking lot gave drivers misleading cues about where to start their turns. The surviving boy was severely traumatized by witnessing the horrific crushing death of his little brother almost right next to him. Up until recently in Oregon, a bystander such as this who did not also have physical contact had essentially no legal rights for their emotional and psychological harms. That was true even though a bystander may suffer extreme emotional distress, fear, distress, disability, loss of sleep, anxiety, depression, interference with normal life activities, and loss of enjoyment of life. The Oregon Supreme Court’s ruling came out after this tragedy and allowed the legal representative of the surviving brother to bring a bystander recovery claim on the boy’s behalf. The claim was resolved after mediation for a confidential amount. This entry was posted in Blog, Catastrophic Injury, Understanding the Legal Process. Bookmark the permalink.